TWO MONTHS – WHAT HAS HAPPENED? Escape Boats has been open nearly two months now and it’s been amazing the reception our first room SOS has been given. We’ve had several visits from the press. The Irish Times said that Escape Boats was ‘a brilliant cruise through your ingenuity and agility’. We also had reviews from Lovin Dublin, The Times, The Irish Independent and Womans Way amongst others. We done radio reviews and TV appearances. Teams from all over the world have tried out the boat and the response has been amazing. We’d like to thank everyone who has played the game. Huge thanks to all of those who have taken the time to leave reviews. So many of you have said that it is the best Escape Room in Dublin. So many more of you saying that it is the best Escape Room you have ever done. We put a lot of work into this game and it’s great to hear back from you about how much you enjoyed it. Keep those reviews coming and spread the word. There have been so many great reviews but here’s a selection of some of the most recent reviews and feedback from players. 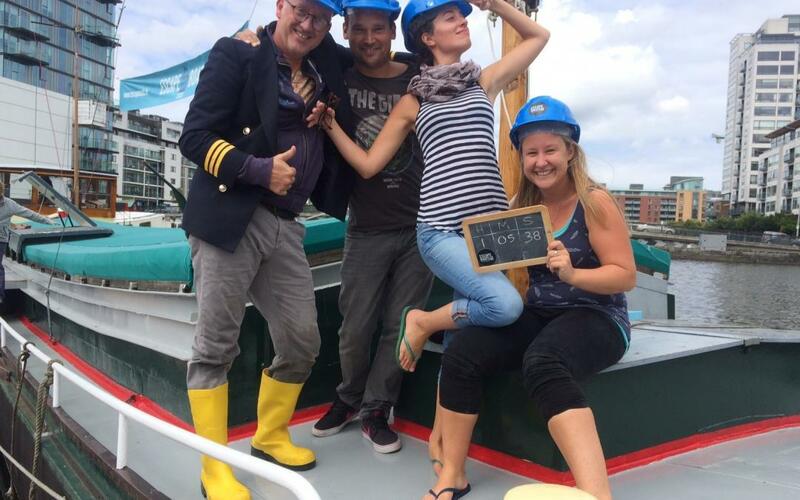 We escaped while on vacation in Dublin and can’t say enough good things about Escape Boats! This is one of the most creatively themed rooms we’ve ever done. It’s on a boat, people, a real boat! The integration of the game within the confines of the actual boat is staggeringly well conceived. It’s really, really well done! Puzzles are fun, interesting and a good mixture of classic and tech. Just a sample of the reviews so far but have a look if you want to see more reasons why you should visit. Check out our Tripadvisor listing here (32 five star reviews and counting), Facebook reviews here (52 five star reviews and counting), Google reviews here (19 five star reviews and counting). So if you’re reading this and you haven’t tried the game, book it now right here .